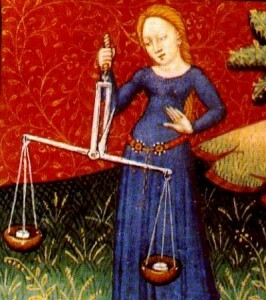 The characteristics of a Libra, the seventh sign of the astrological zodiac and an Air Sign, are represented by the scale. They thrive with a lifelong partner who they can balance and complement in every way. Libra are often incredibly focused on others – occasionally, this can lead to negative consequences. They may neglect their own problems in favor of tackling someone else’s. Because of this, Libra make great listeners, psychologists, and observers. If these sound like nice characteristics in a partner, it’s because they are! But to truly honor the Libra you know, make sure you remind them to spend some time focusing on themselves, rather than let them worry and try to please you. Be on high alert for when a Libra is in need of help – and be ready to give them a helping hand. Think of it as repaying all the ways they’ve helped you with your problems!